Honours were split 50/50 at the opening round of the new series-within-a-series at Perth’s Barbagallo Raceway a fortnight ago with Bryan Sala from Melbourne (Match A50) qualifying on pole on Friday and winning the first two races of the weekend on Saturday but Grant Martin (Talon MR1A) from Auckland winning the third race on Sunday morning and the 15-lap event feature in the afternoon. Experienced historic single seater class racer Grant Martin returns to spearhead the visitors’ side which this weekend consists of Martin, Brett Willis (Lola T330) from Rotorua, Ian Riley (Lola T332) from New Plymouth and Aaron Burson (McRae GM1), Glenn Richards (Lola T400) and Tony Roberts (McLaren M10A) from Auckland. Martin says he was “surprised but at the same time, very pleased’ with his two wins at Barbagallo Raceway but stresses that in a series like the SAS Autoparts MSC Revival one they are the icing rather than the cake. It doesn’t hurt that having made such a strong impression on spectators first time around (in the 1970s), the reborn F5000 cars – and their latter day custodians – are welcomed with open arms at historic motor racing meetings the world over, and the Shannons Perth Classic was no different. 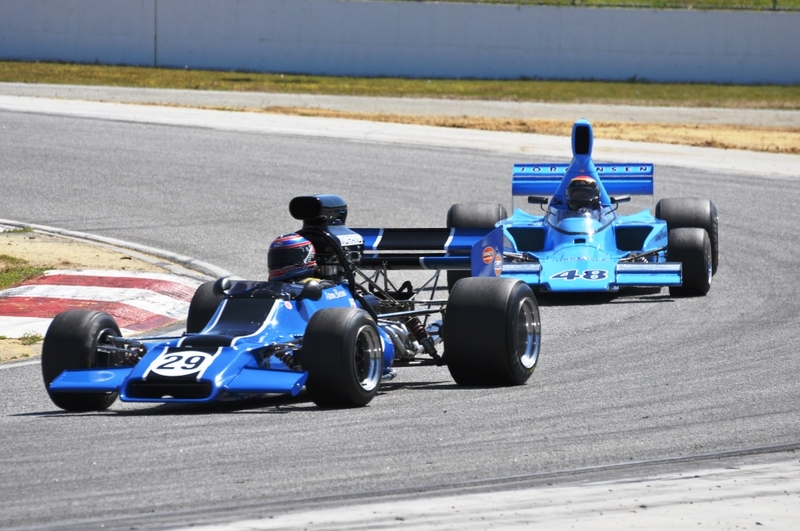 Qualifying and the first of three SAS Autoparts MSC NZ F5000 Tasman Cup Revival Series Trans-Tasman Trophy races are on Saturday at Sandown with two more races, including a 10-lap feature, on Sunday.